We have glorious credentials when it is about the experience and tact in handling criminal cases. Our team comprises the best Criminal Lawyers in Delhi. Our lawyers have in-depth knowledge of the Criminal Law in this country and know how to safeguard the rights of the clients in our existing judicial system. Our associate Criminal Lawyers In Delhi have long experience in dealing with Criminal Cases for clients. Indian Penal Code, 1860 and other Criminal Laws define various offences, for which the accused of the offence is/are tried before the competent courts of law and Code of Criminal Procedure, 1973 provides the procedure for conduct of trials, investigations and inquiries. 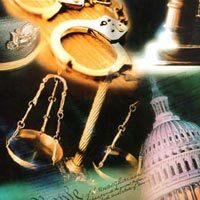 Our expert lawyers provide all services related to Criminal Law.